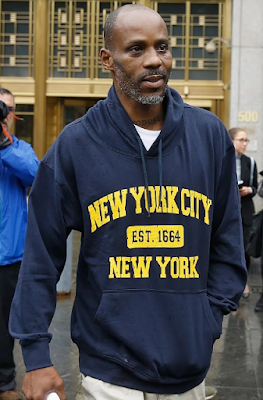 Rapper, DMX (real name, Earl Simmons) struck a plea deal in his tax evasion case Thursday, but could still serve up to five years in prison. According to TMZ, the rapper pleaded guilty to one count of tax evasion in New York, thereby making sure he won't be spending the 44 years in jail that he formerly faced. In an interview with TMZ, DMX's lawyer Murray Richman said the rapper told the court he knowingly did not pay taxes on royalties and other monies. Adding that DMX does fear going to jail, but he took the deal regardless, knowing what lay in front of him otherwise. His sentencing hearing has been scheduled for March 29, 2018.